The Ladbrokes Tour Championship will take place for the first time from the 19th – 24th March 2019. The tournament features the top 8 players conducted on the basis of the one-year ranking list up to and including the 2019 Gibraltar Open. 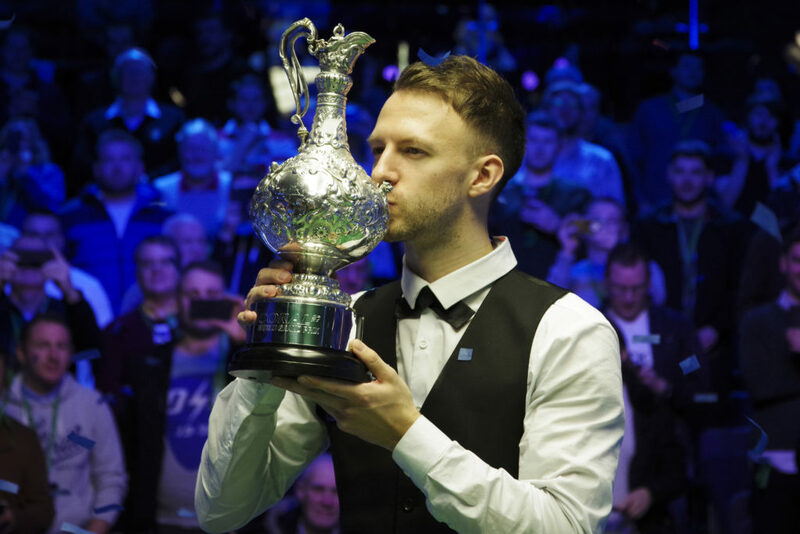 Judd Trump pictured after defeating Ali Carter in the final of the World Grand Prix in February. The draw has been made for the competition and has thrown up some very interesting matches. The line-up gives an impressive mixture of former world champions, as well as ranking event winners and former number ones. The only competitor to not win silverware in a Triple Crown event is Kyren Wilson. The Tour Championship is part of the inaugural Coral Cup, which will be awarded to the player who accumulates the most prize money of the three tournaments involved (World Grand Prix, Players Championship and Tour Championship). 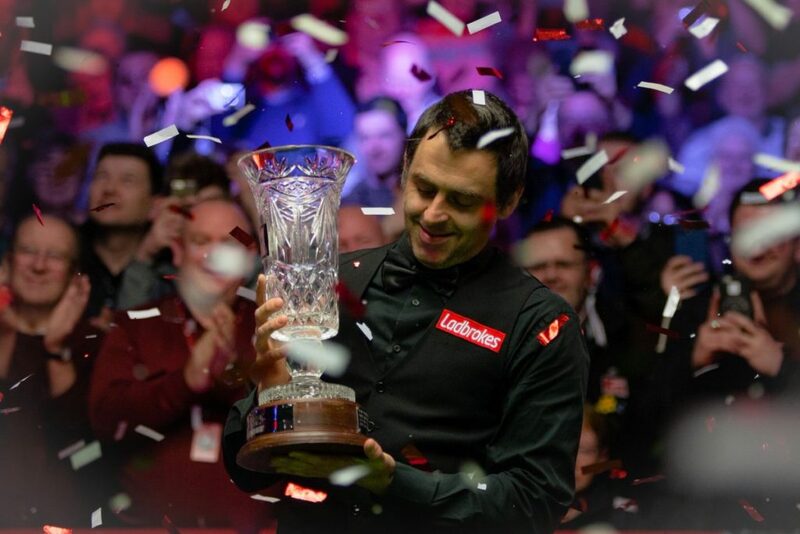 Ronnie O'Sullivan is pictured after lifting the 2019 Players Championship trophy in March. Ronnie O’Sullivan and Judd Trump are currently joint-top in the race to win the first Coral Cup, after both winning £150,000 in the two competitions combined (plus the £20,000 initial fee for making it to the Tour Championship quarter-finals). The tournament will be played in Llandudno, Wales at Venue Cymru. It will be the fifth consecutive year that the North Wales town has hosted a major event, having staged the World Grand Prix in 2015-16 and the Players Championship in 2017-18. Kyren Wilson and Stuart Bingham held off a late push from David Gilbert to secure their spots in the tournament. This came after Gilbert’s hopes of edging into the elite tournament ended with defeat in the quarter-finals of the Betway Gibraltar Open. The quarter-finals will be played over the best of 17 frames, before a pair of semi-finals that will last 19 frames. The title will maybe surprisingly take place over three sessions, taking place on Saturday evening and across Sunday over 25 frames. Mark Selby will be aiming to retain his number one world ranking status, which he has carried since his 2015 German Masters, but will face a difficult tie in the first round against Australian Neil Robertson. Selby hasn’t won an event since September, when he defeated John Higgins 10-9 in the final of the China Championship. 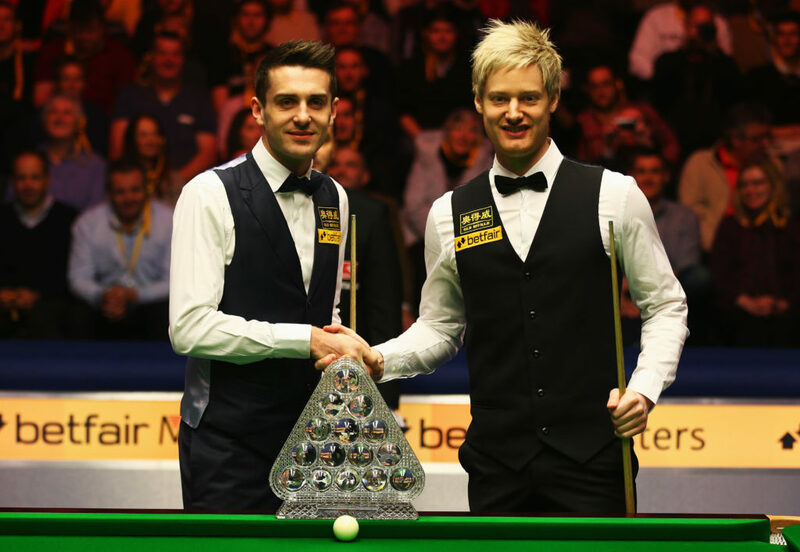 Mark Selby pictured with Neil Robertson at the Masters in 2013 - the pair face off in the quarter-finals of this years' Tour Championship. The event gets underway on Tuesday 19th March and will be televised live on ITV4. If you are looking to practice like the professionals, at Hamilton Billiards we have a vast range of snooker accessories including snooker balls, snooker cues and snooker triangles. As well as this, we have a vast range of snooker tables for sale and pool tables for sale, which will enhance your snooker experience.